The Tories in their attacks on the trade unions make much of the supposed damage caused by strikes to public services and Britain’s status in the world. They hark back particularly to the 1970s as the era when the unions were totally out of control, wrecking British industry, already struggling from Socialist mismanagement by the Labour party, with irresponsible strikes and picketing. This, they claim, was a decade of social and economic chaos, when Britain was only saved from collapse by the timely election of Margaret Thatcher and her tough policy on the unions. Other aspects of union activity which undoubtedly attracted criticism included the speed with which some union officials called men out on strike, often on the basis of a show of hands at a mass meeting (the ‘wildcat’ strike); then there was the practice of overmanning, and the persistence of inter-union demarcation disputes. Occasionally there was violence on the picket lines, when blacklegs or scabs were attacked. Middle-class prejudice against unionism was strengthened by films such as I’m Alright, Jack (featuring Peter Sellers as a self-important shop steward), and The Angry Silence, portraying the treatment meted out to a blackleg. A popular TV comedy, The Rag Trade, amusing and harmless in itself, featured Miriam Karlin as a militant shop steward in a small clothing workshop whose strident blast on the whistle and cry of ‘Everybody out!’ would bring work to an abrupt end, to the dismay of the bumbling and inefficient proprietor, played by Peter Jones. In fact, the majority of strikes were conducted properly enough, and were based on perfectly legitimate grievances; the real problem was the increase in unofficial strikes which did not follow the conventional procedures. Although the belief grew up at the time that England was particularly strike-prone, there is actually no reason to supposed that workers here went on strike more readily than workers elsewhere in Europe. Further, three-quarters of all strikes lasted less than three days for most of the 1960s. In the late 1960s this proportion was reduced but still remained at about half in the 1970s. Earlier, on the coal industry was more strike-prone than other industries – 70 per cent of all strikes between 1952 and 1957 were in the coal industry. Later on, the metal industry and the motor industry became the commonest industries for strikes. Yet even then, in the period 1971-3 there were no strikes at all in 95 per cent of manufacturing plants. There were serious issues with union power in the 1970s, particularly with the three-day week and the National Union of Mineworkers’ battle with Ted Heath. It seems from this that Britain’s reputation as the ‘Sick Man of Europe’ particularly beset by strikes has been very much exaggerated. A few weeks ago Cameron also launched another Tory attack on the trade unions and their right to strike peacefully. Under the new legislation passed by the Tories, a strike is now illegal if a majority of the union’s members do not vote. This is even if the vast majority of those voting are in favour of strike action. There is also a personally vindictive and totalitarian element in the legislation. Picketers are now required to give their names to the police. It shows very much how the Tories regard strikers and trade unionists as potential, if not actual criminals. Clearly, it’s so the rozzers can keep tabs on them, ready to arrest them the moment someone in the Tory party or the CBI decides that this has gone too far. The Tories have, no doubt. made noises about how they’re increasing democracy in the trade unions and accountability. It also shows the amazing double standards operating within the Tory party. 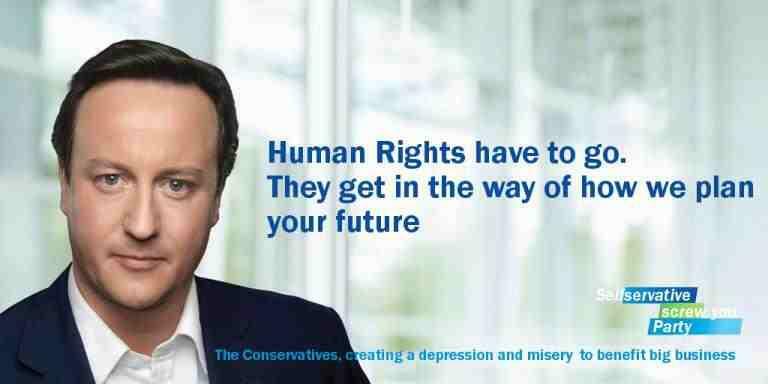 Cameron is claiming this is democratic, despite the fact that under the same principle, his government is also invalid. The vast majority of the British people did not vote for his government. I suspect that, if past general elections are anything to go by, the majority of British voters decided that there wasn’t much between the political parties, and so didn’t vote at all. If the same principle was applied to Cameron’s government, then it would have to be dissolved, and his nibs face prosecution under the law. But as the old saying has it, ‘The Conservative party is an organised hypocrisy’, and so no such logic has been applied. The Tories have, of course, hated trade unions since the days of the Combination Acts in the 19th century. They were illegal on the grounds that they were a threat to the operation of the free market. Then, after they were repealed, there was the Taff Vale judgement, which made trade unions liable for damages caused by picketing. And the Tories have been particularly keen to smash the unions since the coal miners defeated Heath’s government. Their resentment fuelled their determination to destroy the unions and their power utterly with the miner’s strike in the 1980s under Margaret Thatcher. Following the highly militarised suppression of that strike, the Tories have passed increasingly restrictive legislation. This is just the latest, and nastiest, to date. Even David Davies, one of the most right-wing of the Tories, recognised its totalitarian implications. He denounced it as ‘Francoist’. And indeed it is, if not actually Nazi. I know this is close to becoming another example of Godwin’s Law, which states that whenever there’s an argument on the internet, sooner or later someone will accuse the other of being a Nazi or like Adolf Hitler, but in this instance, this is exactly what it is. Under the Nazis trade unions were banned, and their members and organisers sent to concentration camps. 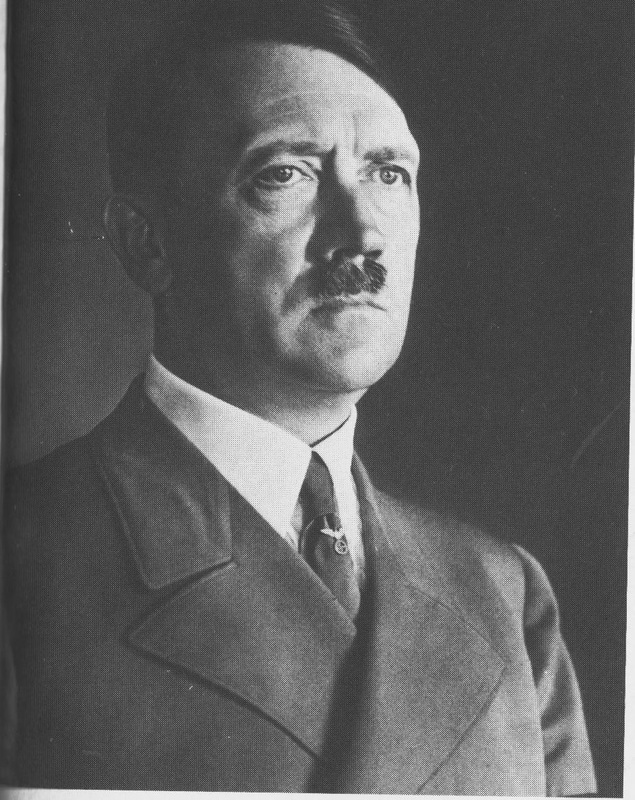 Hitler justified his attack by claiming that he was defending the working class from being exploited by them. And the Tories have made exactly the same arguments. In the 1980s the Sunday Express made much the same arguments in its violent attacks on trade unions. It demanded tough legislation against them on the ground that union bullying was exploiting the honest, British, Tory-voting worker. In particular, it praised the American laws that made strikes in certain vital industries illegal, and which was used to break a strike by American air traffic controllers. It hardly needs to be said that you can read the same kind of arguments, with the same Nazi attitudes, in the Daily Mail. As for taking the names of strikers, this is similar to the tactics used against demonstrators and social activists in that beacon of Asian democracy, Singapore. Under their laws, you can make speeches in public about nearly any topic you like at their equivalent of Speaker’s Corner in Hyde Park. In order to do so, however, you have to notify the police when you will be speaking, what you will be speaking about, and give your name and address. So far there have been very few people willing to make use of their democratic freedom. Somehow I don’t think the similarity of the Tories’ trade union legislation with this piece of anti-democratic legislation is at all coincidental. The Tories have, after all, told us in the page of Britannia Unchained, that British workers should prepared to work under pretty much the same conditions as the Developing World in order for the country to compete globally. Singapore was one of the Asian ‘Tiger’ economies, whose massive economic growth was admired in the 1990s. Clearly the Tories have decided that if they can’t make the economy grow like theirs, they can at least import their highly illiberal legislation and attitudes. And once it’s been done to lock up strikers and trade unionists, you can bet it will be used against peaceful demonstrators. They’ve already passed legislation against them on the pretext that they are protecting neighbourhoods from the nuisance caused by masses of people marching through their areas. It’s another nail in the coffin of British democracy and the destruction of British political freedom and free speech. Margaret Thatcher destroyed much of Britain’s manufacturing base, and particularly the coal industry, in order to break the power of the trade unions that had brought down Edward Heath’s government. Kittysjones has recently blogged about the academic report into Thatcher’s ‘calculated immiseration’ of the working class for ideological reasons and the profit of the upper and middle classes. See her post ‘ Tory dogma and hypocrisy: the “big state”, bureaucracy, austerity and “freedom”’ at http://kittysjones.wordpress.com/2014/04/10/tory-dogma-and-hypocrisy-the-big-state-bureaucracy-austerity-and-freedom/. Prosperity, as he had to confess, was not very high on his list of priorities except for its propaganda value; national strength was far more important. He was expecting a war at any time after 1934 and wanted the country to become self-sufficient in food before then. This was one reason why he hoped Italy would remain mainly agricultural: urbanization was threatening to endanger the food supply of a rapidly growing community. Another hazard was that as people moved to the towns they began to think and talk too much. Peasants, he asserted, were more necessary to fascism than intellectuals or town artisans, both of which latter categories were, as he had to admit, unenthusiastic about his regime if not strongly hostile. …. the healthiest nations were those based on a population of small proprietors who worked ‘obediently, and preferably in silence’. On the other hand, urban conditions encouraged not only disobedience but a wish for higher wages and greater comfort which, in turn, would result in smaller families, all of which would be profoundly unfascist. 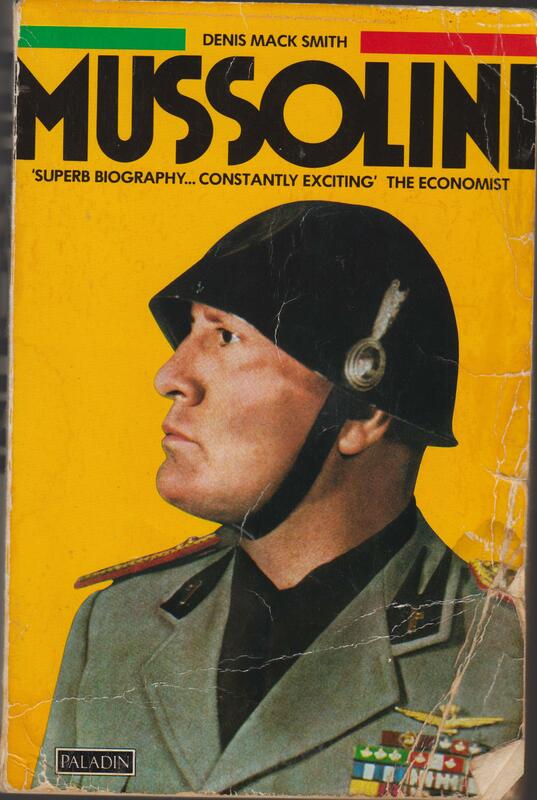 To ‘ruralize Italy’ would, he knew, be immensely costly and might take half a century, but it would have to be effected. Less should be spent on improving conditions in the towns because ‘cities are pernicious and parasitic’; even in the countryside, he thought it necessary to restrict improvements in popular housing because better conditions might result in fewer children being born. Such beliefs became an obsession with him. He order the prefects to stop any move away from the land and to use force if necessary. Rome should not become an industrial city but remain the centre of an agricultural region, and many other important towns should be forcibly reduced in size. But he had chosen a hopelessly unequal battle and the towns went on expanding as before. At first he falsified the census returns to conceal this untoward fact, but eventually went into reverse and decided to spend a great deal of money to make Rome into a great centre of industry. Thus Thatcher, the Tories and the Italian Fascists were determined to sacrifice their countries’ industrial development in the interests of creating their ideal societies, societies which consisted of the poor obeying their social superiors without question, and where critical, urban working and intellectual classes were highly unwelcome. There is, however, one major difference between the two: Mussolini abandoned this policy when it could not be achieved, and promoted Rome’s industrial development. Maggie and the Tories were successful, and Britain’s manufacturing base has contracted ever since.